The Duesenberg Model D: What if? Nostalgia is a powerful thing. Like a time machine it has the power to transport us back to another time, a better time. There is no doubt that if the Duesenberg Model D would have been produced many a people would have been transported back to a time when the American marque was the zenith and embodiment of what it meant to be a luxury automobile. But would it have been enough for people to buy them? The Model D Duesenberg was designed by Ghia Body Works of Italy and with the help of Vergil Exner, the master behind Chryslers Forward Look. The Model D would have cost $19,500 dollars dwarfing the price of other automobiles from the era. 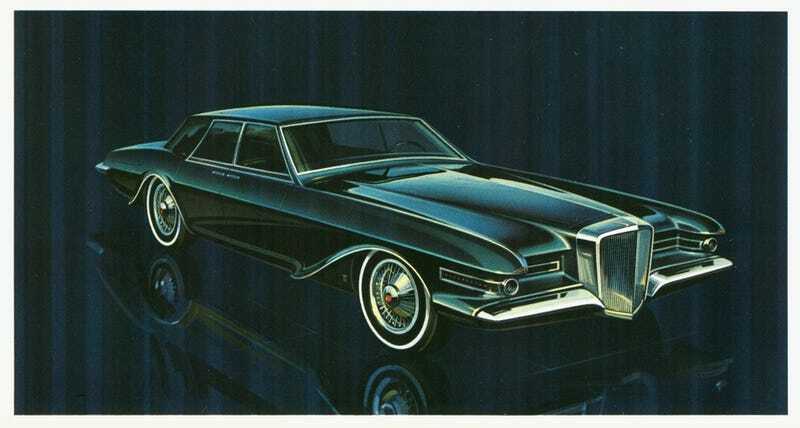 It also would have dwarfed them in sheer size weighing more than 6000 pounds and having a hood 20 inches longer than the comparable Cadillac. The engine powering this mammoth of a luxury car you ask? A 425hp 440 cubic inch Chrysler V8 engine. It would not have the glamour or speed of the classic Duesenberg straight eight however, the Model D would have certainly had the power to move this boat down the road at a brisk speed. The interior would have been fit for a king. Ample use of cashmere, leather, and walnut throughout would have made the Model D’s interior not only well appointed but outstandingly luxurious. The gauge cluster complete with an altimeter (harkening back to the Duesenbergs of the 30s) was well positioned and placed. The rear occupants would have been happy as well with coach doors for ease of entry and egress. There can be no doubt then that the Model D was well appointed and luxurious but would it have been a success if it made it to market? Yet even then the mock up appears to be a conservative design not looking forwards but towards the past. Why however? The 60s were a rather turbulent era in the United States and the values of the bright and optimistic fifties had been crushed by the assassination of a president, the ever looming possibility of war in Vietnam, and protests for civil rights. Perhaps Exner wanted to relieve an era that was brighter and ore optimistic. By the time the Duesenberg was released in the later half of the 1920s the American economy was strong and the Roaring Twenties highlighted the strength of an American century that was right at the nations finger tips. Was the Duesenberg Model D capturing that nostalgia through their design? If so, one can assume the Duesenberg Model D would have sold relatively well in the price bracket it positioned itself in. Setting the trend for retro styling almost three years before the Mark III Continental, the Model D would have created a very popular and lucrative precedent every other American automotive manufactured would have soon followed.